In 2016, unprecedented drought in southern Africa reduced the water level of the world’s biggest reservoir, Lake Kariba, to 12 percent of its capacity⁠, inducing food shortages and extensive power blackouts that hamstrung the economies of Zambia and Zimbabwe. Similarly, reservoir levels at the Hoover Dam — the Colorado River dam that ushered in the modern hydropower era — have been steadily dropping as a result of a prolonged regional drought. Both predicaments have laid bare dams’ vulnerability to climate change. Global investment in wind and solar energy now far outpaces investment in hydropower. 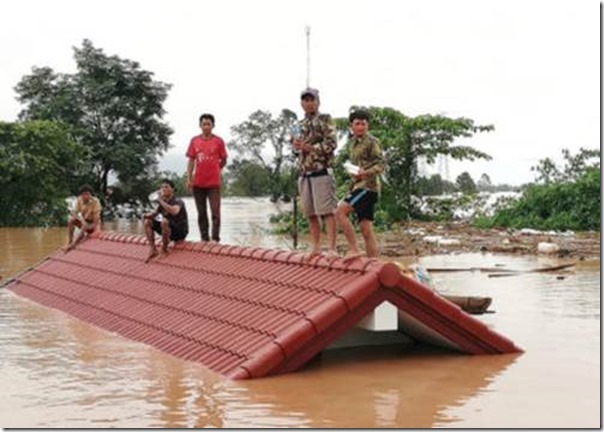 Major dam projects have been cancelled or suspended in Myanmar, Thailand, Chile, and Brazil. In some cases, investors have lost hundreds of millions of dollars. The World Bank, whose investment decisions influence other lenders, announced a rediscovered enthusiasm⁠ for large dams in 2013, but since then has again reversed direction. The bank now supports “only a very few large hydropower projects at any given time,” according to Riccardo Puliti, a World Bank senior director. Chinese companies long ago overtook the bank as the world’s leading financier and builder of international dams. The environmental costs of dams have been well documented. They devastate fisheries by blocking fish migration and the downstream flow of nutrients to estuaries, and they upset river hydrological regimes that plants, animals — and humans — depend on. They are often touted as generators of clean energy, but even that assertion is being undermined by increasing evidence of substantial methane emissions from reservoirs. All this has reduced dams’ stature by a notch, and has left some experts speculating that the industry has reached “peak dams” — the point at which the number of dams built annually levels off and begins to fall. But too many dams are still being built to justify the assertion. Dams are still going up at a rapid rate in Africa, Southeast Asia, and China. Among the projects being planned or proposed are the Congo River’s $80 billion Grand Inga Dam, which would replace Three Gorges Dam as the world’s largest, and Tanzania’s $3.6 billion Stiegler’s Gorge Dam, which would inundate a World Heritage site. As a result, not even anti-dam activists claim that the world has reached “peak dams.” Josh Klemm, policy director at International Rivers, which offers guidance to community groups across the globe that are threatened by dam projects, said in an interview that while growth in the dam industry has been static over the last decade, in the future it could just as easily expand as contract. 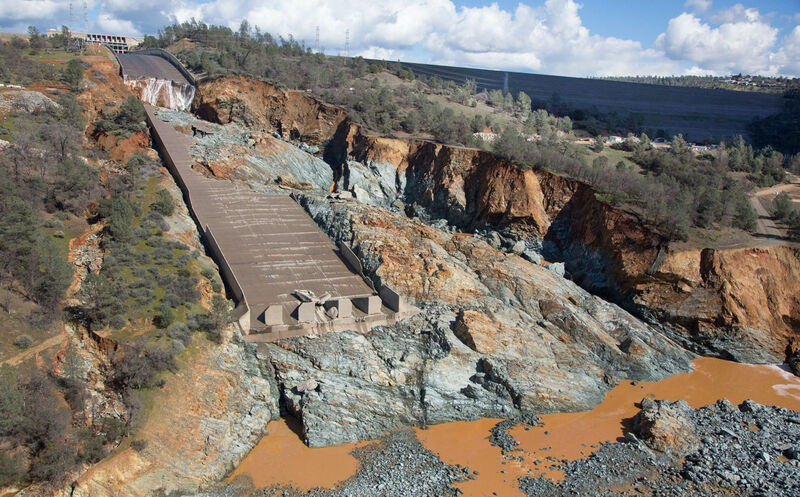 Scientific journals now frequently publish articles undercutting key assumptions about dams. Probably the best-known research, a 2014 Oxford University study of 245 large dams built between 1934 and 2007, concluded that without even taking into account dams’ vast social and environmental costs, they are too expensive “to yield a positive return”— that is, the dams aren’t cost-effective. The study found that on average dams’ actual costs were 96 percent higher than their estimated costs⁠, and the average project took 44 percent longer to build than predicted. According to data⁠ published last year by Bent Flyvbjerg, one of the authors of the Oxford study, compared to other energy technologies, only nuclear power has a worse record for cost and schedule overruns than dams; solar and wind projects are at the top of the list. The huge costs of dams invite corruption and often take up a significant portion of the host nations’ financial resources. What’s so striking about all this documentation is that it has had relatively little impact on the quantity and quality of dam construction. Environmentalists argue that the studies should invalidate dams, while lenders, builders, and their politician-allies go on making money from dams. The two realms barely overlap. Scudder’s distinction between the short- and long-term impacts of dams comprises a big part of the explanation. In calculating cost-effectiveness, scholars and environmentalists focus on dams’ performance over their operating lifetimes, which could be a century or longer, while politicians and lenders are interested in the first decade or two of a dam’s life span at most. Few politicians think beyond the expected end of their rule; they like dams because they promise electricity for industries and cities, and the sight of water spewing out of their sluice gates is a dramatic manifestation of power— dams are superb backdrops for ribbon-cutting ceremonies. Cost-effectiveness doesn’t interest dam lenders, either; what they want to know is whether their 10- or 15-year loan⁠ will be paid off. Since the loans often commence at the beginning of construction, which could take as long as a decade, the loans may be outstanding for only the first few years of a dam’s operations, before all its negative consequences — financial, social, and environmental — surface. A damaged spillway at the Oroville Dam in Northern California in 2017. Repairs there cost $1.1 billion. Dale Kolke/California Delpartment of Water Resources. Large dam projects cost billions of dollars. The huge sums invite corruption, and often take up a significant portion of the host nations’ financial resources. The loans get paid off, and the lender— such as the World Bank— calls the project a success. But long after the dams are built, the host country may experience a debt crisis. From the 1980s on, dam cost overruns played major parts in debt crises in Turkey, Brazil, Mexico, and the former Yugoslavia⁠. The Oxford study cites the example of Tarbela Dam, the world’s largest earthen dam, which intersects the Indus River in Pakistan. Back in 1968, when the project was launched, the loan included a 7.5 percent contingency charge to cover inflation and possible construction setbacks. But the project wasn’t completed until 1984, eight years behind schedule, by which time inflation over the construction period reached 380 percent. The dam then cost nearly four times its initial budget, and amounted to nearly a quarter of the increase in Pakistan’s external debt over the period of construction⁠. Dams in the Oxford study took an average of 8.6 years to build. Their gestation period — even longer when years of planning, contract negotiations, and licensing are included — relieves politicians of accountability for them: When things go bad, the leaders who initiated the project are no longer in power, and their replacements blame problems on their predecessors. The trouble, of course, is that, as Flyvbjerg, a professor at Oxford’s Said Business School, said in an email, “This lack of accountability generates significant risks for those who ultimately pick up the bill for projects if they go wrong, be they taxpayers or shareholders.” Those costs also include the usually grievous harm done to people displaced by dams, a number now much greater than the 40 to 80 million people conservatively estimated by the World Commission on Dams in 2000, and the damage dealt to a majority of the world’s river systems and fisheries, enough to cut into the livelihoods of another half-billion people⁠ living downstream from dams. The likelihood of longer droughts and more intense floods as a result of climate change undermines the case for dams. The disparity in time frames also applies to climate change. On the face of it, the likelihood of longer droughts and more intense floods as a result of climate change seems to undermine the case for dams: They must be built larger to accommodate massive floods but smaller to justify their construction expense during droughts. Dam managers face conflicting imperatives: Reservoir water levels must be kept low so that no water needs to be released during floods, but low reservoir levels hamper electricity generation, the chief purpose of most large dams. Dam advocates seem inclined to dismiss massive floods and droughts as infrequent occurrences that can be overcome with good engineering — even though, for example, the Amazon basin has undergone three unprecedented droughts and three extreme flooding years⁠ since 2005. 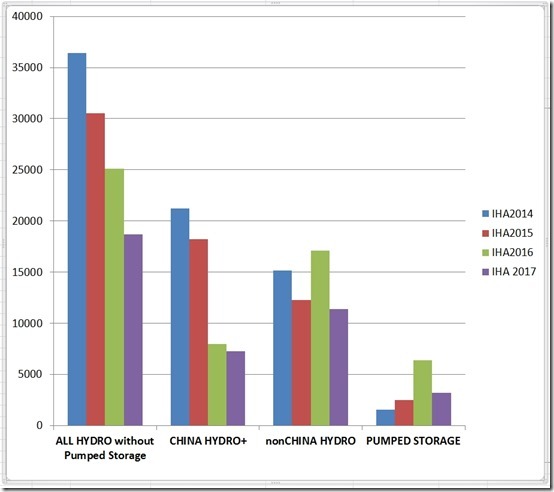 Indeed, the website of the International Hydropower Association claims that the ostensibly steady flow of electricity generated by hydropower — so-called “base load” energy — is needed to offset the intermittency of electricity from wind and solar plants. But events like the southern Africa drought that crippled Kariba Dam have struck at the idea of hydropower’s reliability, and an alternative idea — that dams ought to be used as supplements for wind and solar plants — is spreading. One of the fastest-growing segments of the hydropower industry is pumped hydro, which involves pumping water upstream into dams when electricity rates are low, usually at night, and then releasing it in the afternoon, when rates are high— in essence, it provides backup, not base-load, power. Even so, the Intergovernmental Panel on Climate Change, which sets standards for measuring nations’ greenhouse gas emissions, doesn’t include reservoir emissions in its calculations; the IPCC is considering changing that policy next year. Growing understanding of the factors causing reservoir-generated methane could at least guide decisions about siting dams, avoiding places certain to produce high emissions. The IHA acknowledges that many reservoirs emit methane, but it puts a different spin on the phenomenon. It cites its own study⁠ — cosponsored by the United Nations Educational, Scientific, and Cultural Organization, but not peer-reviewed — that “indicates that hydropower is one of the cleanest energy sources.” According to the study, only wind and nuclear energy emit less methane than reservoirs, and coal-fired power plants emit more than 40 times more. Therefore, the IHA concludes, countries that are reliant on coal should switch to hydropower. But it is perhaps a measure of hydropower’s more modest standing in the world that the industry no longer presents itself strictly as the producer of stand-alone monuments of perpetual electricity generation, the way people once thought of Hoover Dam. Instead, the industry increasingly is offering to produce “smart dams” that complement other renewable electricity sources. The combination could, for example, address seasonal variations in precipitation by relying on solar power during the dry season and hydropower during the rainy season, when clouds impede solar power. Some reservoirs, most notably in China, now feature floating solar panels that simultaneously avoid occupying valuable land, reduce reservoir evaporation, and take advantage of existing power lines that distribute electricity from the dams.